Kobe Bryant is one of the most recognizable and popular athletes in the world. He is also not strapped for cash, considering his net worth is estimated at $140 million. 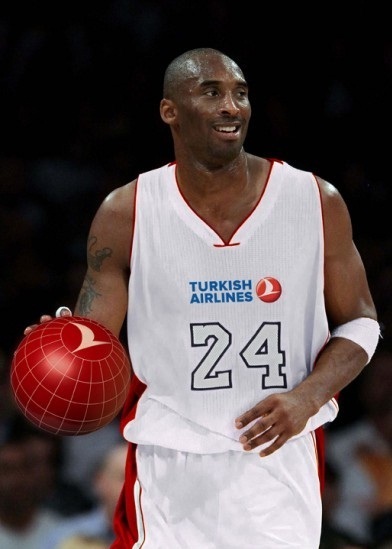 So the announcement this week that the Lakers superstar signed a 2-year endorsement deal to lend his fame and charisma to sell Turkish Airline tickets came as a bit of a surprise. The Armenian Youth Federation was quick to respond to the deal by releasing a statement calling for Bryant to take a moral stand and rescind his contract. However, some community members have viewed this “hard-lined” approach as unwarranted—referring to Bryant as a businessman who is simply following the dollar signs, or pointing out that Bryant isn’t an Armenian and therefore would not be interested in the Armenian Genocide. These perspectives raise concerns about the way we think about ourselves, leading to two important points which have to be made clear: 1) The denial of the Armenian Genocide is not an “Armenian only” issue; 2) We underestimate our true capacity to bring change. We can look back in history to elaborate these points. From the 1940’s to the 1990’s South Africa was ruled by one political party which implemented a policy of legal racial segregation known as apartheid. The minority white population held all the political power and subjugated the black majority to dehumanizing conditions. In the 1970’s an international movement began that encouraged investors to withdraw direct investment in South African companies and pushed citizens to stop supporting US based companies which had business interests in South Africa, as an act of protest against apartheid. The movement grew as stockholders pressed their boards of directors, and investors became weary. The movement grew as universities like Berkeley, Stanford and Columbia organized their campuses to divest billions in endowment and bond money from companies with South African ties. This movement was lead by youth and fueled in part by celebrities using their fame to raise awareness for the cause. The billions of dollars that stopped flowing-in undoubtedly got the South African government’s attention. US cities and states followed suit, passing divestment legislation, all leading up to the “Comprehensive Anti-Apartheid Act” in 1986 which banned new US investments and military sales to South Africa. The divestment campaign, coupled with the internal struggle of the oppressed population, led to the dismemberment of the apartheid government in South Africa in the early 1990’s. Divestment from apartheid South Africa was lead by people like you: the consumer who asked where their products came from, the student who organized her campus, the union member who pressured her company, the religious leader who encouraged their parish, the musician who wrote a song; people who otherwise, individually, could never have made a difference. Today we see another divestment movement which has taken shape. The Genocide currently taking place in Darfur, Sudan has resulted in the murder of almost half a million. Celebrities, like George Clooney and Don Cheadle have given their time and support, not to make a petty profit, but to raise awareness about the desperate situation. The Al-Bashir government (which unsurprisingly has strong ties with the government of Turkey), has ignored all international humanitarian efforts and continues its genocidal policies. The move to economically isolate the Sudan may be the last hope to stop a catastrophic situation. The mindset that led the divestment movement is the mindset that our communities and youth should be driven by today. Justice for the Armenian Genocide is an international human rights issue that belongs on the minds of every single investor in the Republic of Turkey, and every person—celebrity, athlete, actor, socialite—who endorses or supports the government or trade with the government. The moral difficulty of dealing with a company which does business in Turkey should be enough of a factor to dissuade any deal, for any amount of money. Turkish Airlines is not only the national airlines of Turkey; the government of Turkey owns 49.1% of the company. It’s also a prime example of the public relations work the government is doing to try to repair decades of negativity as a result of its human rights record. Our choice is to either accept what we think is invincible, or connect our cause, organize and have our concerns heard. It may seem trivial for an activist youth organization to become a thorn in the side of a multi-million dollar basketball icon, but the fact of the matter remains that a principled stance must be taken when it comes to supporting a genocide-denying regime like the current Turkish government. Much like the South African example demonstrated, decades of inhumanity can succumb to the power of the dollar, and to the power of organization. Unfortunately, this article is not a call for us to divest from Turkey, because my honest opinion is that we aren’t ready for that step…yet. We have a hard enough time convincing Armenian grocery store owners and importers to stop selling Turkish tomato paste, when the Armenian alternatives are readily available. We have a hard enough time of convincing our new generation that an act of protest is not a one day a year occurrence. And we have a hard enough time convincing some people that our fight for genocide recognition has nothing to do with hating the enemy, and has everything to do with loving our own people. This is just a first step that says our fight should be everyone’s fight and our power does not yet even know it’s potential. Vaché Thomassian is a member of the Armenian Youth Federation Central Executive and the Editor of Haytoug magazine.